Scott Sexton, Senior Litigation Partner, is always neck-deep in some large and complicated lawsuit. He is truly at home in the courtroom, and his work ethic is unsurpassed. His partners and clients value his creative energy, hard work, persistence and ability to communicate complicated issues in simple terms. Scott practices law with the fundamental belief that there are many paths to victory, and most are not obvious or easy. For him, “no” is not an answer, just an invitation to find another way – or try harder. Scott’s cases include complex commercial litigation, products liability, toxic torts, significant property disputes, mineral cases, catastrophic injuries, mass torts, and multi-district litigation. He chairs the firm’s Mineral, Energy and Natural Resources section, has been recognized by his peers as a Leader in the Law for his role in developing the law in Virginia, is a charter member of the International Institute of Environmental, Energy and Natural Resources Law, a member of the Energy and Mineral Law Foundation, and a Senior Fellow in the Litigation Counsel of America. 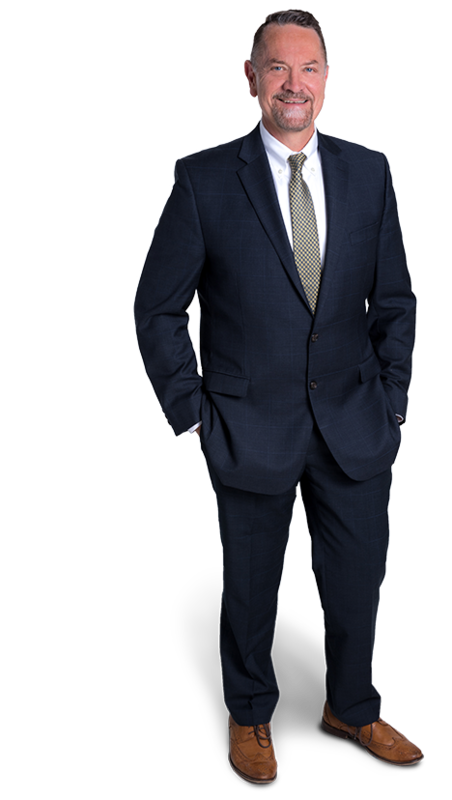 Combining an understanding of business and industry with decades of experience in the law, Scott is known as an aggressive but fair advocate for his clients’ positions. He is frequently called on by his law partners and lawyers outside the firm for assistance and advice with challenging cases. And, he is consistently voted by his peers as a Virginia Super Lawyer, and ranked as one of Virginia’s Legal Elite and one of the Best Lawyers in America. How do you describe your work as a trial lawyer? It’s not work, because I love what I do. There is always a new challenge, but I particularly enjoy taking complicated facts and legal issues and presenting them to a judge or jury in a way that is true, understandable, interesting and compelling. It’s not as easy as it sounds. Tell the truth, and be respectful. Our choices have lasting consequences, so how you treat people matters ̶ both to you and to them. As a lawyer and role model, St. Thomas More is the man: intelligent, respectful, loyal, and dedicated. He also proved that hardships often come with doing what you see as the right thing; so we should not expect our path to be easy ̶ particularly if it is a principled path. In 2010, Scott Sexton was named a “Leader in the Law” for his role as “Developer of the Law on Virginia Mineral Rights.” In addition to trial work in this area, his focus in this field has taken him to the Virginia Supreme Court on numerous occasions over the past decade. Scott also focuses on complicated tort matters including Products Liability, Catastrophic Injury, and Qui Tam Relator Whistleblower cases. Gentry Locke Partner Scott Sexton Designated a Statewide "Leader in the Law"